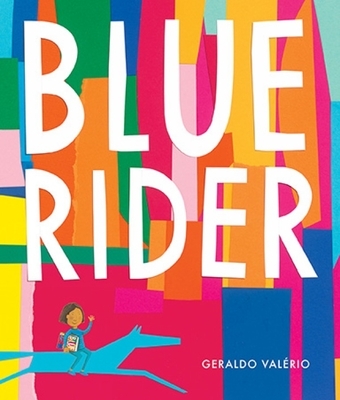 In creating this book, Geraldo Val rio was inspired by the German Expressionist group known as Der Blaue Reiter (The Blue Rider), which formed in Munich in 1911 and included painters Franz Marc and Wassily Kandinsky. These artists sought to find the spiritual significance in art, with an emphasis on form and color. In turn, Val rio has created a wordless book that speaks volumes about how art can transform us beyond the sometimes-dreary world of the everyday.